Captain Tom’s guests with some nice fish landed at Cowan earlier this week. Saltwater reports have been a little soft this week. Guys are catching the odd chinook off Cowen point on the tide change and it is worth a look if you are heading out. Boats around point Atkinson and up Howe Sound have been finding pinks but not consistently. If you are out, look for jumping fish and run pink hootchies in the 30-60ft depth range. 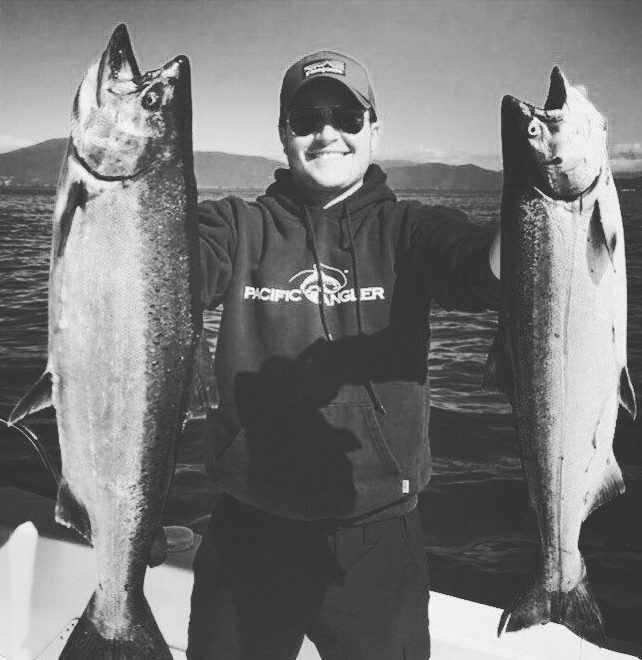 We are expecting better things off the Capilano mouth and North Shore but this week we were disappointed with the number of Coho. They should be staking up in good number by now but it hasn’t really happened yet. We are hoping this will change over the next 2 weeks. There have been some better beach fishing reports from that area so we are still optimistic. The bell is worth a look as well. Fish bait around the 40-60 ft. mark. Troll a little slower than normal and run from the 2nd mile marker out to the bell. Reports from the bell should pick up over the next 10 days with chinook heading to the Fraser. It can only take one tide change for things to change so keep positive and cover water. If you want a more up to date report give us a call at the shop.